India calmly executed a tricky chase to win the second ODI in Adelaide on Tuesday night, but a plucky performance from Australia continued their upward form curve in 50-over cricket. Led by a superb 104 from superstar skipper Virat Kohli and a composed 55 not out from veteran MS Dhoni, the tourists scraped home in the final over of a thrilling match. 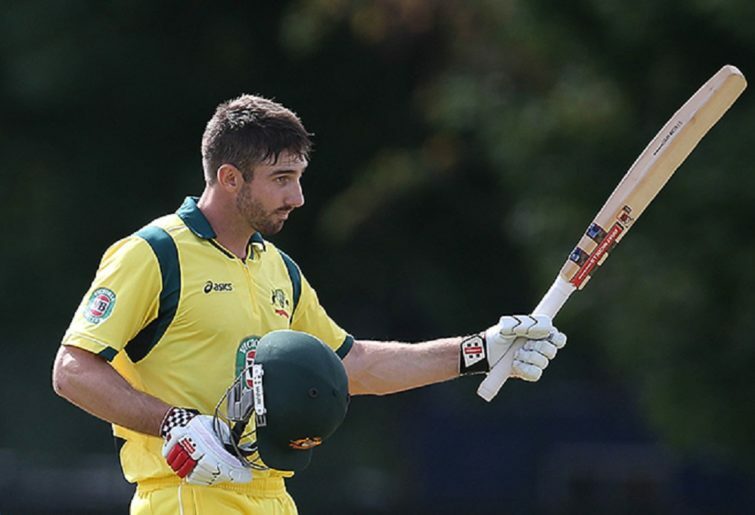 Australia set India 299 to win thanks to a classy hundred from the in-form Shaun Marsh and some late fireworks from all-rounder Glenn Maxwell. The hosts’ green bowling attack then bowled with good discipline to force India to labour for their win, which squared the series at 1-1 heading into the decider at Melbourne on Friday. So low have Australia sunk in ODIs over the past two years that fighting efforts like last night actually represent positive progress. The Aussies entered this summer having won just two of their past 20 ODIs, their worst 20-match sequence in history. That included seven consecutive losses leading into the second ODI against South Africa in Adelaide ten weeks ago. Since then, they have finally started to show signs of improvement. They beat the powerful Proteas in that aforementioned match in Adelaide, competed strongly in the series decider that followed in Hobart, and now have held their own in this series against the mighty Indians, who alongside England are considered the leading contenders to claim the World Cup. Australia still have a long way to go to become a top team once more but, crucially, they seem to have regained their competitive edge. Prior to this summer Australia continually folded, turning in spiritless display after spiritless display. While they lack the raw talent of opponents like India – due to the absence of the likes of David Warner, Steve Smith, Mitchell Starc and Josh Hazlewood – Australia at least are scrapping hard. That was evident last night when the hosts fell to 2-27 after nine overs, leaving them in a deep hole. Commonly over the past two years, they would have slid further from such a position and posted an uncompetitive total. But they ground their way out of trouble and then accelerated to reach a decent score. The backbone of this innings was once again a mature knock by Marsh. The West Australian continued his remarkable ODI form, which has seen him churn out four tons in his last eight matches. He’s notoriously nervy at the crease in Tests, which often causes him to bat in a stiffer, more robotic and less instinctive manner than he displays in the Sheffield Shield, which he’s dominated for years. For some reason, that anxiety does not seem present when Marsh bats in ODIs. Instead, he looks loose, relaxed and confident, and makes the most of his generous ability. Never is this contrast more evident than when Marsh plays spin. In Tests, the left-hander often gets himself into trouble against spin by playing neither fully back nor fully forward. In ODIs, he backs himself to be proactive, using his feet nicely and then rocking back deep into his crease to cut and pull when the spinner overcorrects their length. He was impressive last night in the way he countered skilled spinners Kuldeep Yadav and Ravi Jadeja. In fact, Australia overall have played India’s spinners surprisingly well. The batsmen have floundered against tweakers in ODIs in recent years but have limited the impact of that Indian duo so far. Together, Kuldeep and Jadeja have taken just four wickets at an average of 54 in this series, while going at 5.4 runs per over. It has helped that Australia’s middle order has been populated by four players who are comfortable against spin in white ball cricket – Marsh, Maxwell, Peter Handscomb and Marcus Stoinis. It also must be said that neither pitch in this series has aided the spinners. Australian tweaker Nathan Lyon is wicketless in the series so far, while conceding 109 runs from his 20 overs. The hosts were boosted last night by good efforts from their fifth and sixth bowlers in Stoinis and Maxwell, who combined to take 2-62 from 13 overs. The only Aussie bowler who consistently relieved pressure was the one who was the most curious selection for this series – Peter Siddle. After two matches back in the team following an eight-year absence, Siddle has taken 1-106, conceding a whopping 6.62 runs per over. While Siddle was a weak link, the remainder of the Aussie attack did an admirable job opposed to arguably the two greatest chasers in the history of ODI cricket – Kohli and Dhoni.